Many customers with a Samsung Galaxy S7 will be switching to the attractive Galaxy S8 in the coming weeks. Several changes Samsung has made to the software of its flagship device might confuse users and lead to increased questions to customer support. 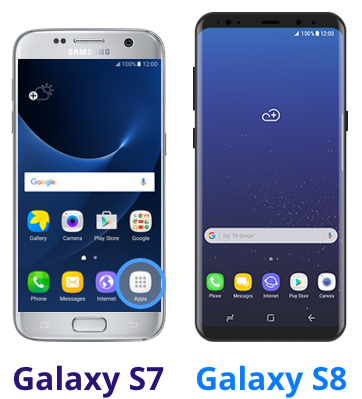 Qelp’s Android device expert, Delano Boeijkens, has put together a list of the challenges your customers might face when transitioning to the newest Samsung smartphone. 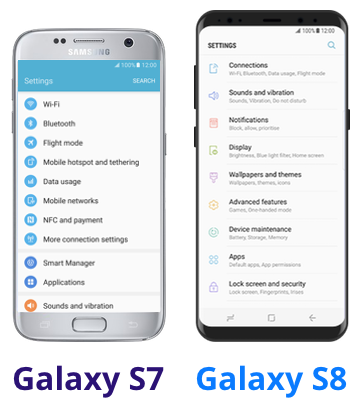 Samsung has regrouped many configurations in the settings menu. “Wi-Fi” and “Mobile networks” selections are no longer on the front page of the settings menu and are instead hidden behind a label titled “Connection Settings”. Changing the system language or adding a new input language is now also found in a sub-menu called “General Management”. The device’s “Backup and reset” functionality has also been moved from the top-level menu into “General Management”. While minor, these changes will affect the usage flow of the Galaxy S8. It’s important to note that the solution journey when providing customer support will also need to adapt to this new layout. 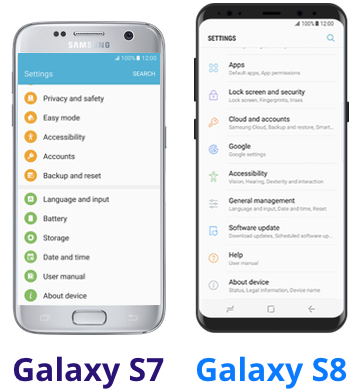 Another change users will take some getting used to is the removal of the app drawer button from the home screen of the Galaxy S8. Now, users must swipe up from the bottom of the screen to view and access their apps. This can cause confusion, according to Techradar. 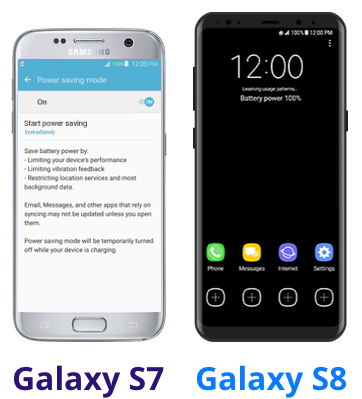 When enabling power saving mode, the Galaxy S7 had almost no visual indication aside from the battery sign. Samsung has taken a big step towards making this low-power usage mode more visually recognizable. Now, the battery saving mode has two levels – Medium and Maximum – which turn different functionalities of the phone off to conserve power. Enabling the Maximum power saving mode turns the background of the phone black, as well as adds a label to the home screen that lists the time remaining until a charge is needed. Determining what app to use when opening certain links or files is an essential function of every operating system. Android normally does this by asking users the first time they open a file or URL, which application should be set as default, and whether to do use it “always” or “just this once”. 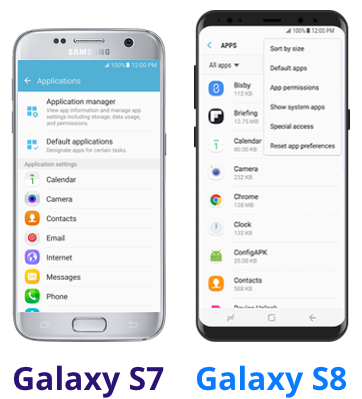 Samsung, however, has implemented an automatic selection of default apps. We provide a step-by-step tutorial on how to configure this to the user’s preference.